We need to start listening to people who are concerned about closing their accounts and building tools that can fulfill their needs. 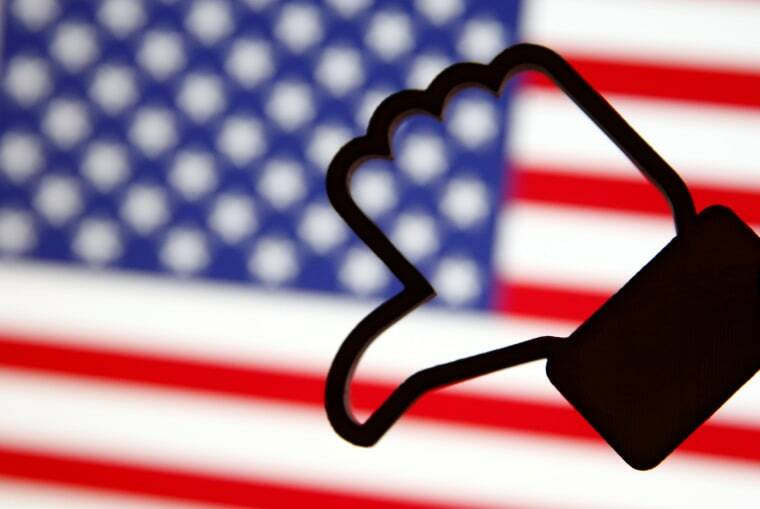 The recent revelation that political data firm Cambridge Analytica harvested data from more than 50 million Americans via Facebook without their knowledge has sparked considerable and justifiable rage from many of the social network’s users. Calls for users to walk away from the platform abound — the #deletefacebook campaign has prompted tens of thousands of tweets, dozens of essays and such high-profile supporters as Elon Musk. I get it. I’ve been on Facebook for about 13 years, and I’ve spent at least half of that time fed up with the company for mishandling my data, overzealously censoring expression and constantly making changes to their user interface and algorithms that never really seem like improvements. I’ve written and spoken about the pitfalls of trusting a corporation with managing our speech, and with handling our data, and I’ve long encouraged people to take action — both collective and personal — to fight for their privacy and speech rights. I’ve thought about walking away from Facebook numerous times, but something — or rather, several things — keep me there. Indeed, I’ve thought about walking away numerous times, but something — or rather, several things — keep me there: The convenience of being able to ping large groups of my friends all at once for some feedback or a couch to sleep on, the private groups and communities of friends and strangers that support each other, the event invitations to art openings and parties that I’d undoubtedly otherwise miss — and the list goes on. I’m not a heavy user, and posts can only be seen by my friends, but I still find the site pretty integral to my social and community life. And yet, in conversations about what to do about Facebook's myriad problems, a certain demographic — namely, white men — love to argue that people worried about data privacy violations should “just leave” Facebook and other social networks. While happy to offer up their opinions, what these tech bros don't offer are viable alternatives. There is no way to fix Facebook. So how do we protect ourselves from it? This is fundamentally an argument made from a position of privilege. Those suggesting that we should simply walk away — without creating other options — fail to understand why leaving is, for many, a luxury they can’t afford. The biggest reason is simple. The network effect — the phenomenon where increased numbers of people or participants improves the value of a good or service — means that being among the first in your friend group to leave can be lonely and not a lot of fun. And for people with marginalized identities, chronic illnesses, or families spread across the world, walking away means leaving behind a potentially vital safety net of support. In certain parts of the world, Facebook’s centrality is even more profound. Small businesses that can’t afford to build a website or post billboard ads use Facebook to find customers. Plenty of artists and small media outlets rely on the platform to spread their work. And activists often rely on it to reach potential audiences through which to spread their messages or calls for demonstrations. Those suggesting that we should simply walk away fail to understand why leaving is, for many, a luxury they can’t afford. “Why not use email or the phone?” some bros recently asked me on Twitter. “What did we ever do before this platform that’s been around for only ten years?” others have queried, sarcasm dripping. The idea of substituting a one-to-many platform with myriad features with two useful-but-outdated systems is to me, and any other professional who has to deal with the phone and email all day, ridiculous. And to those who suggest that because Facebook is still young, it can easily be passed up, I recommend an experiment in which all electronic payments must be made in cash and mobile smartphone users must revert to prototypes from 2005. These suggestions not only fundamentally misunderstand why Facebook is so valuable to many people, but also the way that power functions. A few thousand individuals simply logging off sends a message, but it doesn’t solve the core issues at play. It’s also unlikely to change the underlying dynamics and control of Silicon Valley tech companies. Rather than merely demanding that everyone walk away en masse, we need to demand a better Facebook — and force changes where necessary via reform or regulation. Let me be clear: I don’t oppose deleting Facebook per se. But if we want the rest of the company’s more than two billion users around the world to leave, then we need to start thinking about how we’re going to replace it. This means truly listening to people who are concerned about closing their accounts, acknowledging their experiences, and building tools (and movements) that can fulfill their needs. Some of this work is already taking place. There are decentralized alternatives already out there — like diaspora and Mastodon — that show promise, but also come with their own drawbacks. There are movements pushing for more transparency, better privacy features and regulation. None of these solutions are a panacea, but all are great steps toward creating a safer internet for everyone — not just Elon Musk. Jillian C. York is a writer and activist whose work examines the impact of technology on our societal and cultural values. Based in Berlin, she is the Director for International Freedom of Expression at the Electronic Frontier Foundation and a fellow at the Center for Internet & Human Rights at the European University Viadrina.